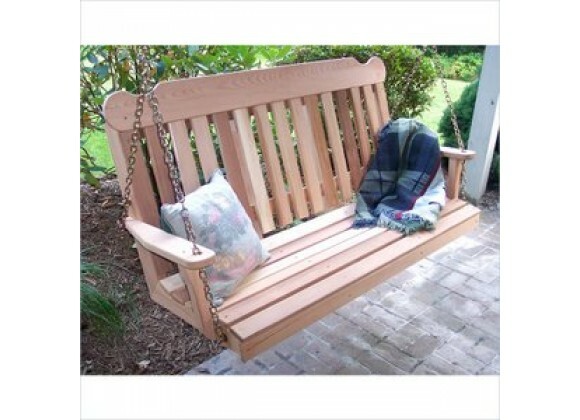 This Cedar Classic Porch Swing harkens back to a simpler time. Reminiscent of the handcrafted, old fashioned porch swings appearing on the wide open porches of country homes across the country, it will give your outdoor space a traditional look. It is handcrafted in the United States from resilient western red cedar.